We pride ourselves on being a research-driven organization here at the IB, but we are not alone; conducting research is not limited to the IB Global Research Team and our research partners at universities. There are many diverse and valuable research studies that take a scientific approach to the impact of IB programmes conducted by teachers (both IB and non-IB), in-school IB coordinators, and heads of school worldwide. These educators are investing considerable time and expertise to conduct their studies, large and small. 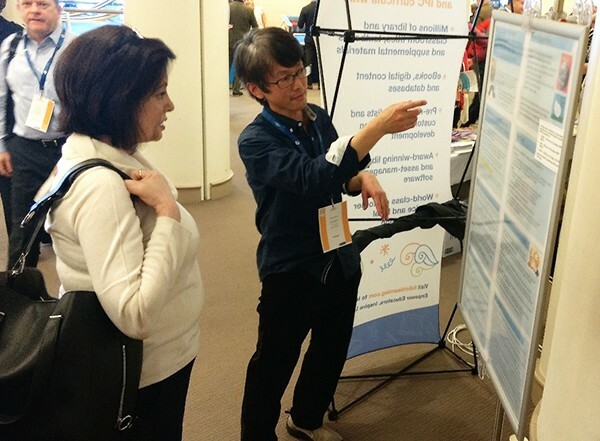 To celebrate and showcase educator research, we welcomed ten people to a take part in a research poster session at the IB Global Conference in Yokohama, Japan in March. It was such a success that we will offer the same opportunity at future conferences, including in Orlando in July 2017. 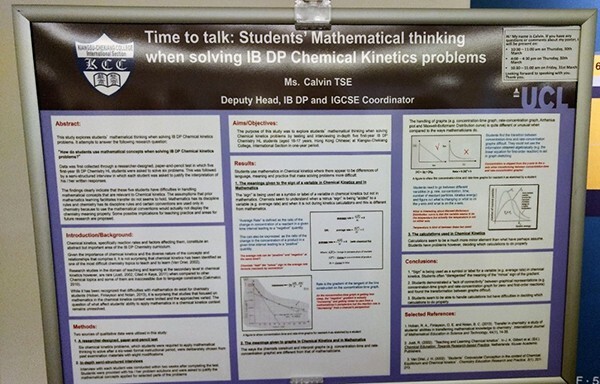 Ten researchers, most of whom are also educators at IB World Schools, showcased their investigations in a poster format and were available to answer questions from the 1,500 conference attendees who passed by. Their work represented both school-based action research and larger studies connected to universities on a range of topics. How do students use mathematical concepts when solving DP chemical kinetics problems? Impact of the Think Through Learning Bilingual Planning Framework. IB Diploma Programme in Article One schools in Japan. An ethnographic inquiry into the influence of assessment on the student experience in an MYP class at Discovery College, Hong Kong. Social Emotional Learning (SEL) in an IB World School. Interdisciplinary Unit (IDU) in Overseas Family School. Acceptance and Commitment Therapy (ACT) for IB Diploma students. What is necessary to succeed as an IB school in Japan? Join us at an IB Global Conference and showcase your own research to your peers in the IB community who travel to our conferences from around the world. To present your research at the next IB Global Conference in Orlando, Florida, USA in July 2017 (accepting proposals until 11 June) or The Hague in October 2017, please contact research@ibo.org. Lori Mack is a Research Analyst in the IB Global Research team.